Probably simple enough. Unplug some doodads, plug in new doodads. A little WD-40 should fix that right up! you are making me look bad...I'm gonna have to do my toilet and install my light. Still stumped? We can help. With my dishwasher debacle I told the guys to just drop the new dishwasher in my garage and I’d figure out the install. It was a PITA and I made several mistakes I had to undue or go back and redo but ultimately we got it done. If I can do it you can too! 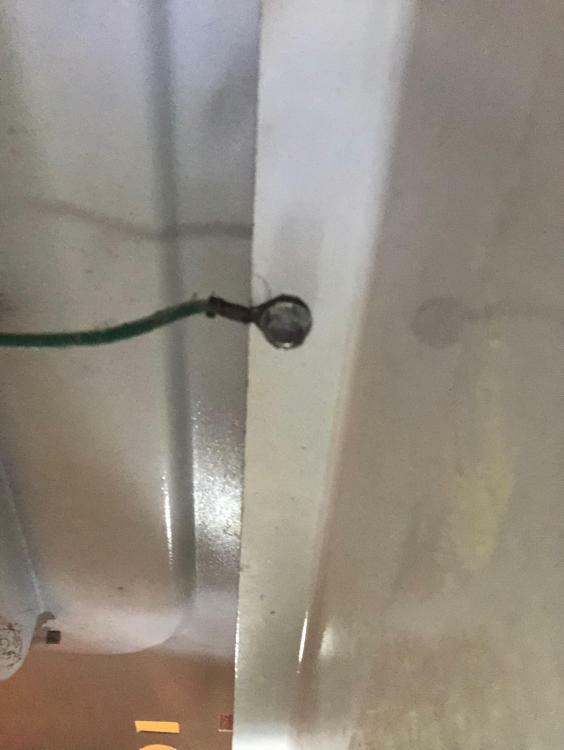 That is a ground wire. Very important in the end. 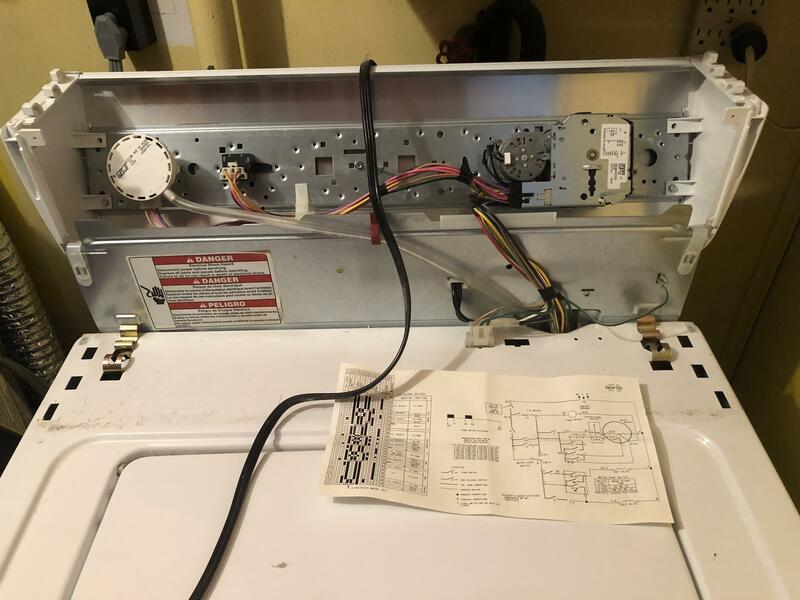 Washing machines are fairly compartmentalized and it looks like you are well into your repair. What are you replacing? YouTube is your friend but you probably already know that. When we got a new clothes washer and dryer, it came with "free" delivery, installation, and take-away. When delivery came, the installer removed the old washer & dryer, set up the dryer (very easy to do), but then took one look at our existing overflow pan and showed us that the new washing machine would not fit. Front loaders are much deeper than the old top loaders We had to get our plumber out ASAP to install the larger pan (it has a drain), but luckily it all got done fairly quick that week. Still, a royal pain. replacing the lid switch - don't have it yet, just ordered it from amazon. 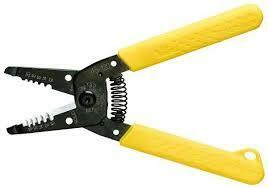 I don't have a spanner or socket or whatever to get that ground wire off - pliers don't want to work. 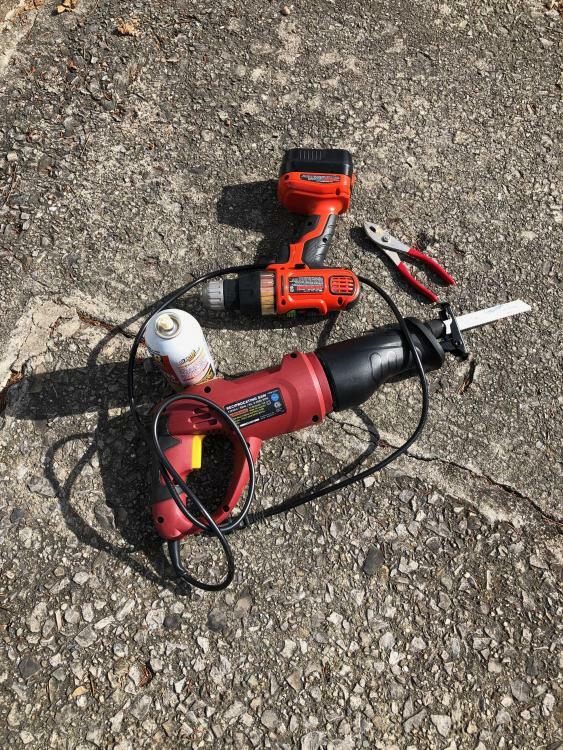 Could drill a pilot hole nearby and self-tap a new screw with the new ground. Probably scuff off the pain first? EVERY home should have a basic tool set - including a bunch of normal metric & SAE sockets. A good and relatively inexpensive investment. Usually has the normal stuff like screwdrivers, pliers, wire cutters, a few smaller wrenches, and the socket set. Maybe even a hammer or some hew wrenches. Really "normal" but essential tools. One thing you might check, is that if you have a screwdriver with interchangeable heads (a couple phillips, a standard flat, etc), that often matches those little screw heads as well. In other words, don't put a screwhead bit in, and see if it fits the screw in the washer. With the lid switch, I have taped them into the operating position. I have also cut the wires and twisted them together to defeat the faulty switch. P.S. Don't tell 2Far. He gets weird when I don't do things his way. A set of nut drives from the hardware store will do the trick. Likewise vice-grips will work. That’s what I do. That switch is just to shut the washer off if you open the lid on spin. Someone would have to be pretty blonde to do that anyway. My new washer locks the lid so you can’t open it at all with the washer running. 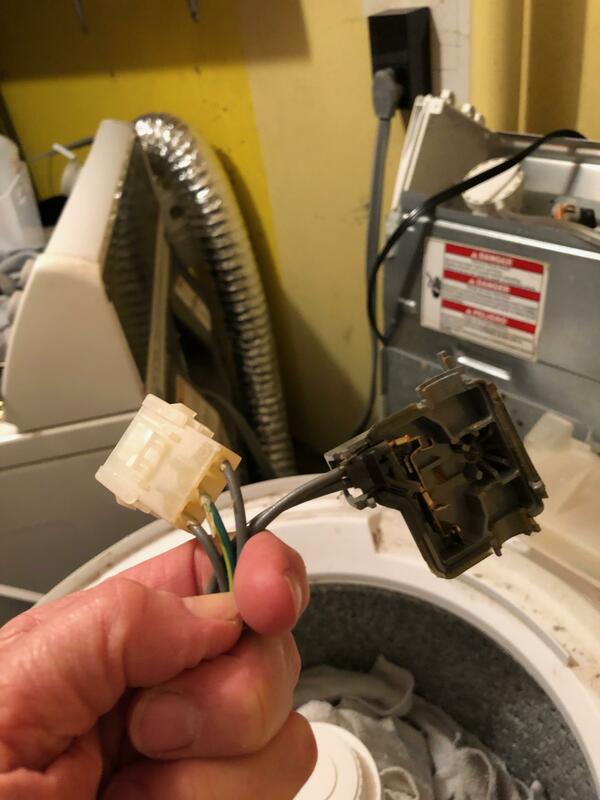 I don’t need that much safety but maybe someone who lets their toddlers play with the washing machine unsupervised it might be a good idea. Remember that it is easier to buy meth than make it. 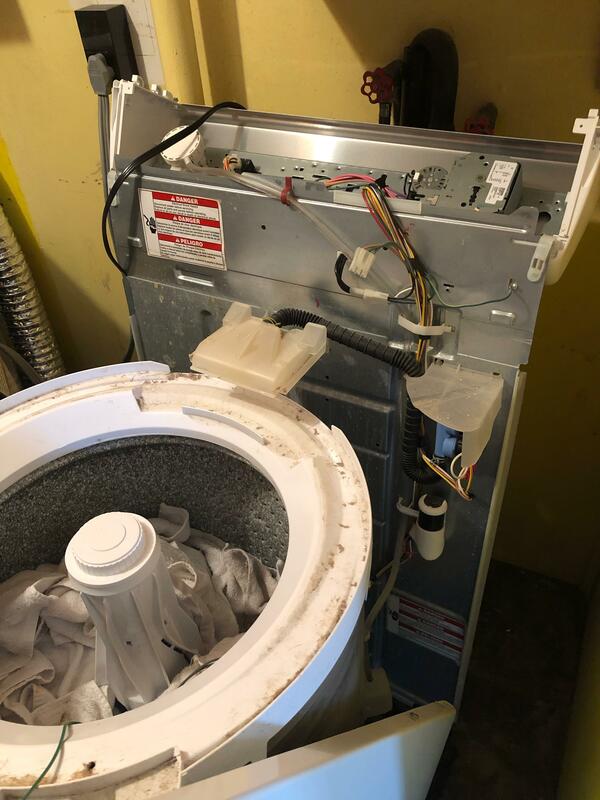 Washing machines are poor choices for manufacturing it, despite Breaking Bad's attempt to make you think otherwise. You have clothes in that machine. Bypass the switch and get your laundry done. When the new switch come in you can install it, or not. I think the lid switch came to be in order to prevent people from having their arms wrenched, at least. The agitators were fairly heavy back when and the spin cycle under power could probably do some serious damage against a young housewife's arm. but it won't empty or spin, the switch is totally broken. You mean I don't need a switch at all?? I don't care about safety, Nix and the cats can't lift the lid, they don't have thumbs. I have those, I have a lot of tools! Yesterday I even had to use my reciprocating saw to get the railings off from the front of my house. Does that switch have two wires going to it? No we don't! Not in the US of A! I think it’s French, we call it a crescent wrench. Yes. It's called that too. Agreed - Sometime called an adjustable spanner. 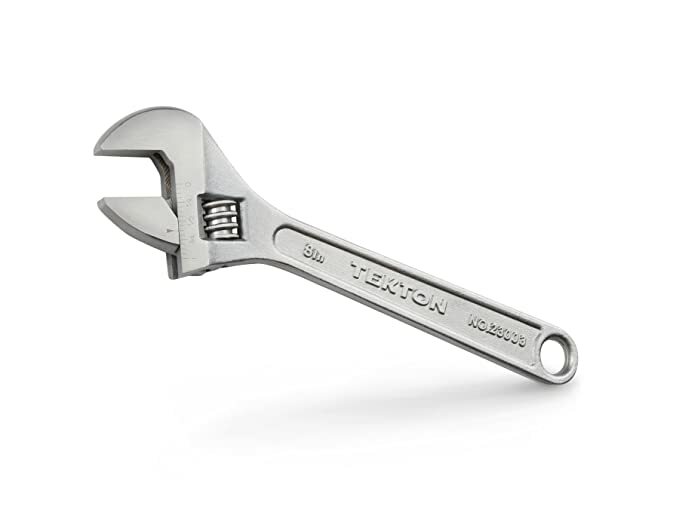 Can't we just get back to an America where that is a "wrench" or, at most descriptive, and "adjustable wrench"???? Jeebus! Thank god for Home Depot keeping it real. Honestly, a top loader is inefficient. Chuck it and get a front loader. Leave the ground wire alone, cut the other two and strip away enough insulation off the wires to twist them together. Either use a wire nut or electrical tape to cover the splice. Try your washer. If the switch is normally open (which Im pretty sure it is) then all you have to do is jumper the 2 (non ground) wires and you closed the safety circuit and put it back together. I recommend ordering the new switch and putting it back together correctly. Most locations have appliance stores you can get the part from. A repairman has to get his parts from somewhere. If you have Amazon Prime you could have had it on a truck a delivered by tomorrow. If you cut it like LJ suggests leave enough tag end from the connector block to splice it back later. Monkey says you can fix anything with that tool. That will come in handy when she tries to but it back together. Why would it be less efficient? I ordered the new part from Amazon - it will be here Wednesday. "I really don't know what I'm doing, but I'm doing it anyway"
One of my dad's favorite sayings and a life lesson for his young son - "We may not know what we are doing, but we will when we'er done."